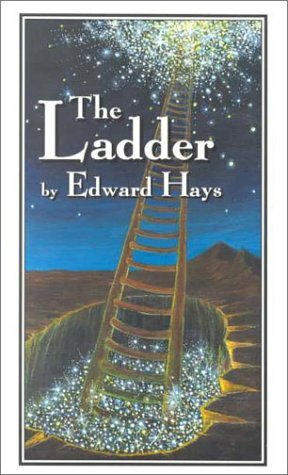 The Ladder contains 135 short, creative parables and stories that will challenge you to expand your religious horizons. Intended as a companion to your daily prayer book, The Ladder is a travel guide for the sincere spiritual seeker on the journey of transformation. Since prehistoric times, parables have been seen as the best way to communicate spiritual truths. They have been used as ladders that help us ascend to the heavens and descend deeply into the heart of daily life—to find there the sparkling treasure of the Kingdom. In crafting these parables in the ancient tradition of the Desert Mothers and Fathers, Hays calls the book a "handheld spiritual teacher for anyone eager to become a student of the mystical path." As a bonus, there are 14 parabolic pictograms, original ink art pieces that are parables in picture form. The Ladder makes an ideal Christmas gift book—especially as it is a fresh resource of brief and easily retold stories that would be useful for preachers and religion teachers.